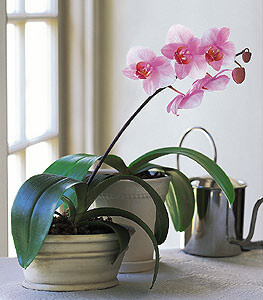 A lovely lavender orchid is the perfect choice to send for any occasion. So send it, and youll really send that special someone. One lavender phalaenopsis orchid arrives in a ceramic dish with bark chips. Note: This item may require 24+ hours notice in some areas.